I touched more than a hundred flowers last weekend, though with my eyes, and I didn’t pick one, except perhaps with my camera. Going to a large flower show in late winter is always a delight for winter weary senses. Never mind the artificiality of plants forced into early growth and assembled in great halls to mimic a garden – there they are, to be seen and smelled and enjoyed. I spent a day at the famed Philadelphia Flower Show and my senses are still reeling. It took the better part of the day to see most of the exhibit – this year’s theme was “Brilliant!” – an ode to British gardening style. 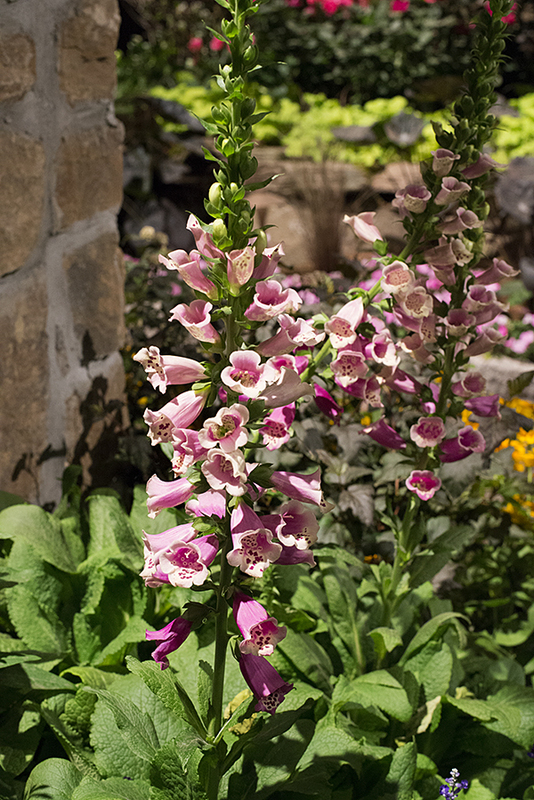 Any large flower show, in the U.S. at least, is an opportunity for the green industry to strut their artistic stuff – that includes garden designers, florists, plant specialists, and various other vendors. Walk along with me through the show to sample a few of the gardens and flowers. Sometimes it was just about the flowers. The Raymond Evison Clematis display featured his spectacular clematis – I put “Parisienne” on my “must get” list. The Netherlands American Business Association featured Dutch bulbs in colorful combinations and throughout the show, home growers competed for best displays of forced bulbs, including lovely groups of colorful daffodils. Not only were visitors dazzled by the colors and scents, they were educated as well. Organic Mechanics potting soil display cleverly touted their product while educating consumers on eco-sensitive potting mixtures and the beauty of growing herbs and veggies. The Pennsylvania Horticulture Society featured a spectacular wall of brassicas anchored by a clever wheelbarrow sculpture on one side and a hanging garden of glass birdfeeders and cottage garden flowers on the other. Many schools contributed attractive and educational displays; the Williamson Free School of Mechanical Trades featured a vegetable kitchen garden based on 18th Century Horticulture practices in America. I hope you enjoyed visiting the Philadelphia Flower Show 2013 with me. Think spring! This entry was posted in Flowers, Garden, Garden Design and tagged Brilliant!, Edna St. Vincent Millay, flower photography, flower shows, garden photography, gardens, greenhouse garden, Philadelphia Flower Show 2013, spring, spring flowers, spring gardens by composerinthegarden. Bookmark the permalink. My name is Lauren & I am a landscape designer w/Hunter Hayes Landscape Design. Thank you so much for this wonderful post about the Flower Show & especially our exhibit! I was very pleased with how my design came to life & it makes me extremely happy to know it brightened so many spirits! Cheers! Lauren, thank you for taking time to visit my blog and comment. Truly, I thought it was the best design in the show and you are to be congratulated on such a great design that also had so much appeal. All the best to you! Glad you enjoyed the show, Robin. It is really spectacular. The theme changes each year but there are always wonderful exhibits, many of which are eco-sensitive and many from local schools that are quite impressive. Definitely worth a trip! I think you should visit Victoria/Vancouver British Columbia. It’s a gardener’s paradise. Because it the balmiest area of Canada and there is sufficient rain during some months, the flowers are much brighter and larger. The undergrowth of plants is shockingly thick and luxuriant. It’s unbelievable. It is the area where there are temperate rain forests, soaring old growth trees. A wonderful journey and one that I imagine gets your adrenalin moving regarding your garden. BTW – the Hidcote Holiday Gate pic is my favorite. Thanks for sharing your day. Thanks for visiting, Frank; the Hidcote Holiday garden was spectacular – lots of details and depth. And yes, I am primed for spring gardening. I’m outside every day, even in the snow, doing a bit of pruning and cleaning up the beds. Wow! How did you know I was sitting here mourning for spring (it snowed today). I want to start planting so badly that I can hardly stand it. This helped assuage the pain, though. I’m with you. I’m going to look for the “Parissiene.” So gorgeous! Paula, you are more than welcome – this little preview of spring lifts my spirits as well, since we are in the middle of ice storms, snow, and rain – yuck! Us too! And gale force winds. Ugh. Spring will be welcome, surely! I certainly did enjoy going to the show with you! I’m interested in the British Brilliant thing – sort of curious?! It all looks rather fun. But I’m with you on the wooded walks and naturlaistic planting – I always look at naturalistic planting and wonder at the hours and endeavour needed to achieve such a feat (and feast for the eyes). Claire, I loved the title of the show, as I remember from visiting friends in England that “brilliant!” was such a common phrase, similar to the way we use “great!” here in the States. The naturalistic plantings are rather easier, I think. It takes some thought to get them going, but it is more about a bit of adjustment here and there and not at all about control or symmetry. I find that it pleases my eye and supports the wildlife that I love having around. Thanks for visiting! Sorry about the double comment! No problem, I combined the two. And the greenhouse does seem sturdy; they had a model at the show and it was beautifully crafted – I was impressed. There was a guy there who was negotiating to take the model home at show’s end – lucky guy! I love Tiarella…oh, the clematis…and the Chromacolor daffs are seriously pretty, nand that digitalis at the top looks like pure happiness. I’m not usually big on garden ornaments, but the fish are so cool – I bet they’re pricey! I like the way they play with expectations. I will live vicariously, having only a very shady, small deck now….good luck with the cedar greenhouse; it looks sturdy! I have been to Chanticleer twice; I think it is one of the premier eastern US gardens. Intriguing designs, very personal and very well done, and the plantings are superb and unexpected. I was hoping to find the fish at the show Marketplace but I started to zone out and never found them. Zoning out is totally understandable! I loved Chanticleer – it’s been quite a few years since I’ve been there now – your description is perfect. Lovely to see all those flowers at this time of year. Don’t think we have flower shows at this time of year in this country. The Philadelphia Flower Show is often compared to the Chelsea Flower Show. I have friends who have been to Chelsea more than once; I would love to visit it sometime. Have you been? Hi Lynn – how nice to come by your blog and this post with so many superb photos of just the sort of madly nostalgic Brit gardening I love (of course the Brit designers themselves are now terribly avant garde!). I agree with your comment about the lovely rustic green house and just wanting to move straight in. I look forward to exploring more in your blog – the tiger sketch was compelling. I once visited a greenhouse in DC where they had an orchid show going on! This was clearly a lot bigger! Flowers are too much for me so I keep succulents. Now I am really thinking Spring! – thanks to you. It is wonderful visiting these garden shows late winter. The Greenhouse Garden is just adorable!, no wonder you wouldn’t leave. Thinking spring is really important, Diversifolius – I think of that like clapping for Tinkerbell! I loved the greenhouse garden so much, I haunted it various times throughout the day, and found a fabulous little cedar greenhouse at the show that will fit perfectly on my back patio 🙂 Currently negotiating space and funds to make it happen . . .
Beautiful, beautiful, thank you for the tour. I may put that clematis on my list as well it looks like it is low growing and not a climber, right hmmm? Maybe I’ll have to the whole flower show on my list. Did I say beautiful? Carol, you are exactly right! Evison specializes in short clematis, between 2-6′, so they are very easy to manage, especially as they wend their way through shrubs and perennials. Joy Creek Nursery is a good source, not too far from you. Happy to see you too, Nancy! The Flower Show seems to bring gardeners together 🙂 Let’s visit each other’s gardens soon! A breathtaking tour – they really seem to have got that English style down pat. Fleuri and those Chromacolor dafs are stunning. Visited a prizewinning garden today, but I am still not ‘gardened out’! Ah Colonialist, I don’t think I’m ever “gardened out” either! Thanks for your comments, glad you enjoyed the virtual tour. Cindy my friend, thank you for your generous words. It was enormous fun sharing these photos and memories of a great trip. Have a beautiful spring! Lynn, � Thanks for that posting, it was wonderful.� The whole time I was reading it I thought of just how blessed you are to have a clear understanding of your passions and gifts, to be pursing them and sharing them with those of us who have been lucky to have you in our lives.� I am grateful for the clarity of your gifts, vision and passions.� And I delight in the fact that I am among those with whom you share. � God’s Peace, Cindy�Babcock � Be still…….